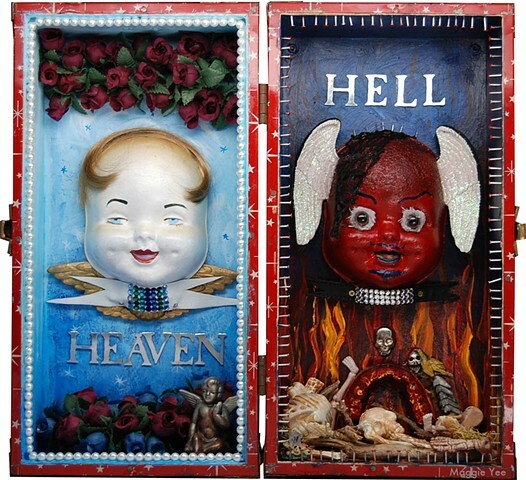 Interior, Sweet cherubs in a box. Found red doll carrying case with white stars, lined with pink paper. Repainted inside. Angel wings, teeth, bones, flames and red roses.